Chicago is letting the technology and business sectors know that it is a force to reckon with for talent, entrepreneurship, and innovation. The Chicago Innovation Awards showcases Chicago companies that empower and "connects the corners of the economy by building relationships that strengthen companies, stimulate growth, and create jobs." In addition to celebrating Chicago based companies, the Chicago Innovation Awards expanded to include the "formation of the Women's Mentoring Co-op to support female innovators, the Innovators Connection to connect large corporations with emerging start-ups, and an Innovation MBA in partnership with IIT that offers real-world experiential learning." Chicago may have started out as a manufacturing and industrial city, but it is now home to some of the nation's successful start-ups in health, medicine, education, and technology. Tuesday night, the best of Chicago innovation was on display. 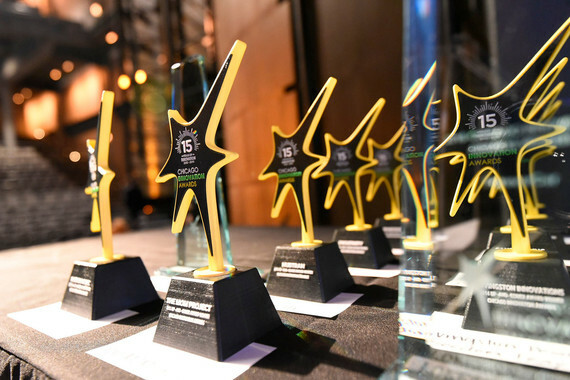 The awards recognize 25 Chicago area companies that are leading in innovation. Living statutes and models carrying movable feasts greeted attendees on the red carpet. From the cocktail reception featuring Chicago deep dish pizza and Italian beef sandwiches, to entertainment from Musicality, a group of Chicago public high school students who were finalists on America's Got Talent, the city of big shoulders showed why it is "one of the hottest tech startup scenes." The Spirit of Innovation award winner was Chicago Sinfonietta, known as "Chicago's hippest orchestra." Sinfonietta treated the crowd to a performance featuring spoken word artist J. Ivy and DJ Madrid. The Social Innovator award winner was Leap Innovations, a partnership of educators and tech innovators changing the DNA of education by scaling technologies aimed at personalized learning. 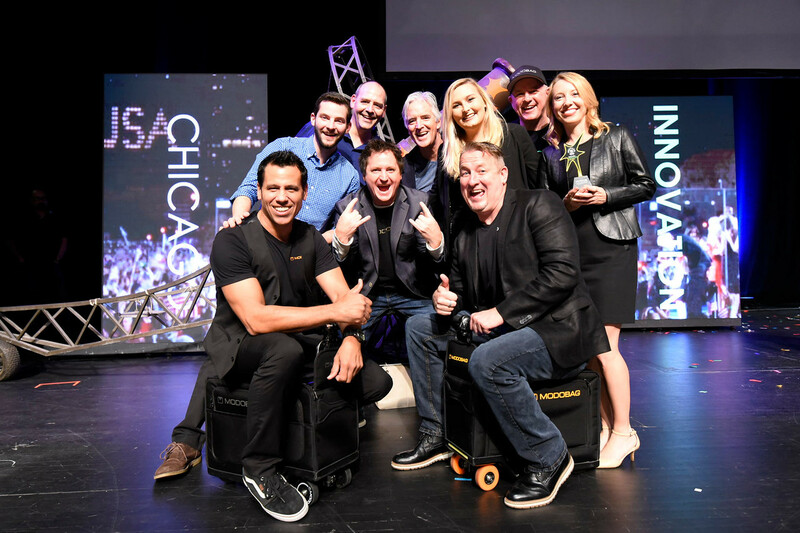 The Collaboration Award winner was Chicago based Radio Flyer. Its collaboration with Tesla introduced the Model S for kids. 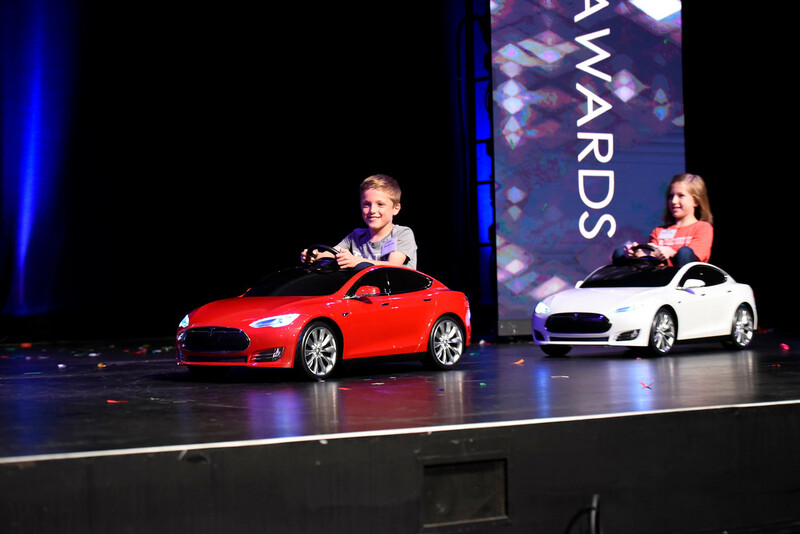 This miniature size luxury sedan is sure to bring joy to girls and boys this holiday season. "Up & Comers" winner Modobag will bring holiday cheer to traveling adults with its carry-on sized luggage that you can ride. Real Food Blends was another winner with its 100% real-food, shelf-stable meals for tube-fed people. When their six month old son required a feeding tube, this husband and wife duo developed a product that is now helping thousands of tube-fed people. "Up & Comers" Freedom Trax is helping the lives of the wheel-chair bound community with its "track and cleat" system to allow travel on sand, snow, and dirt. 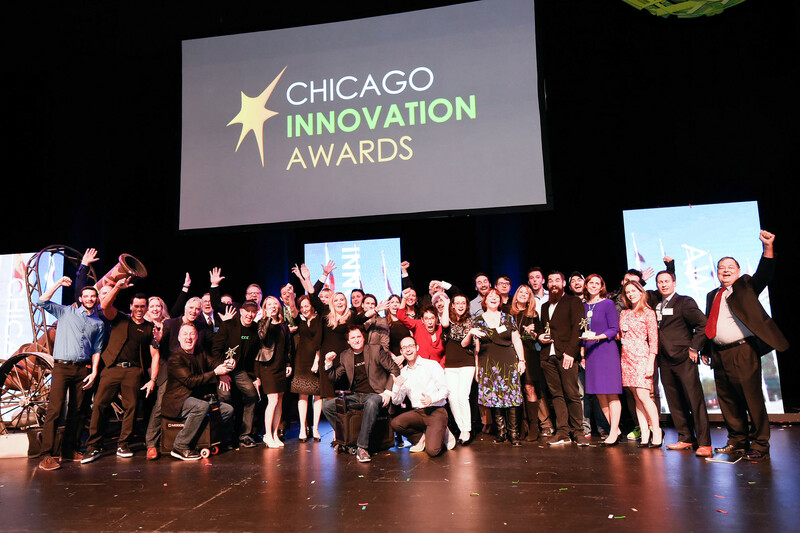 The Chicago Innovation Awards 2016 highlighted the importance of inclusivity and diversity. Ten of the 25 companies honored were led by women. The Visionary Award winner was Margo Georgiadis, a native Chicagoan and president of Americas at Google based in Chicago's West Loop. She is also co-lead of Women@Google. New this year was the Neighborhood Awards. 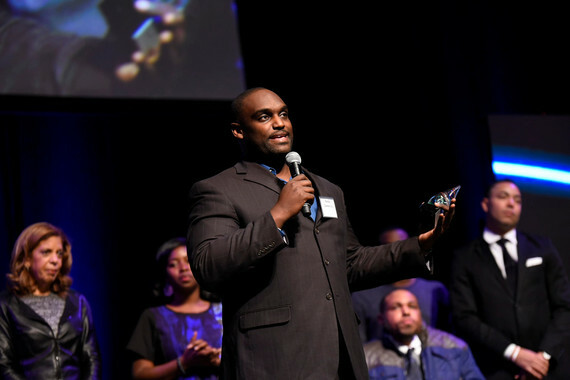 Three Chicago organizations that addressed community needs through innovation were celebrated. The honorees were: (1) BLUE1647; (2) Girls in the Game; and (3) One Million Degrees. Here's a look at how Chicago community organizations are changing the lives of residents and creating future market disruptors for innovation. Founder Emile Cambry noted, "Our crime problem is really an economics problem." BLUE1647 is an entrepreneurship and technology innovation center that fosters economic development in technology and 21st Century skills through people development, workforce development and Business Acceleration. BLUE1647 provides individuals and organizations the resources to realize their ideas for a better world. BLUE1647 is a vibrant example of the ways in which creative professionals, entrepreneurs, change-makers, and nonprofits can come together to make meaningful, lasting impact. In an effort to engage urban youth in technology, Youth Coding Bootcamps were created. Teens learn core skills, cross functional exposure, and deep vertical expertise through in-person immersive training cohorts. Students work with developers and a small group of inspiring peers to learn new skills while building digital projects. One Million Degrees was founded in 2006 to address the specific challenges facing a uniquely overlooked student population - community college students. One Million Degrees (OMD) represents the ripple effect that one community college degree will have on a student's career, family, and community on the pathway towards upward mobility. OMD partners with the seven City Colleges of Chicago, plus the College of Lake County, Harper College, Prairie State College, and South Suburban College. This academic year, OMD is serving 700 students. By 2018, the organization aims to enroll 1,000 students, expanding in the Chicago area. Those participating in OMD programs may be new to community colleges or returning students. Its curriculum is relationship-based focusing on professional, financial, academic, and personal support. Each scholar is assigned to a program coordinator, who assesses needs. Free tutors are available, as well as coaching, college visits, and job skill preparation. Additionally, there are monthly professional development workshops. An important goal is to connect students to employer apprenticeship programs, highlighting the valuable, but often overlooked, workforce that community colleges provide.